Campowerment is a retreat and experience company that connects purpose-driven people with Expert-led programs that infuse the fun of childhood summer camp. Since it was founded in 2013, it has morphed to become more than that, though: through 25+ in-person retreats, Campowerment has become a community of purpose-driven women that share experiences, support each other, and bond during and, as of last year, long after upscale camping retreats. The organization provides more than just one-off experiences. Campowerment is successful at powering human connection and building a loyal membership base. 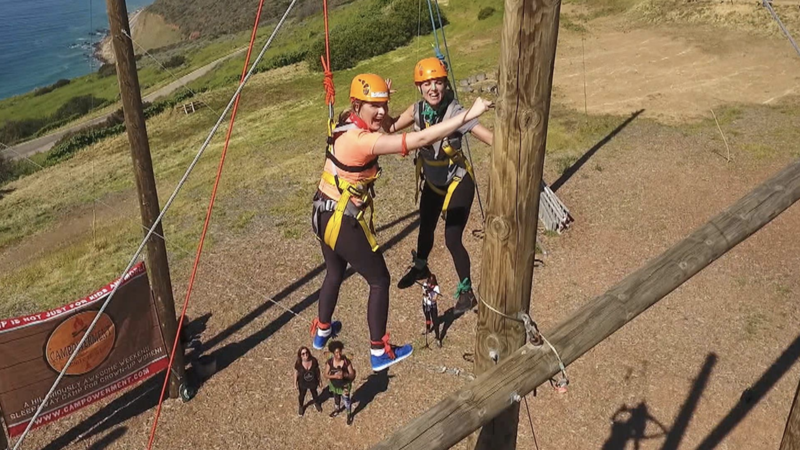 The women who attend its women’s retreats are devoted to their community and stay connected even after their time “bunking” together. In Fall of 2017, when its “Campers” made clear they want to power their connections between retreats, Campowerment turned to Zoom to help their community stay together, even across great distances. The team runs Campowerment Inner Circle monthly meetings on Zoom, where about 100 women who’ve previously participated in the camping retreats meet with cohorts of 10-12 to keep in touch with each other, led by a monthly prompt all members share. They receive a prompt, which is called a “bullseye,” and share what is going on in their lives and where they aim to go in the month ahead. During the meetings, women empower each other to succeed at work, stand for themselves, end unhealthy relationships, begin acting on the plans that will land them where they hope to go, and so forth. In November 2018, the team planned their largest camping retreat to date in Malibu with 140 participants and 22 staff volunteers; however, wildfires hit the area and everyone had to be evacuated the night before the retreat started. By the time the retreat would have commenced, the camp had burned to the ground. In this instance, Zoom became an extension of the same emotional experience that community members have in person. Zoom connects businesses and people face-to-face, increasing the speed of trust. “I can’t stress enough the importance of being able to look at someone’s face to humanize an experience. It’s so important to be able to make an eye contact with people when you are sharing something personal,” said Fuller. If you want Zoom to help your employees or community to build trust, sign up for a 1-on-1 demo with a Zoom product specialist today!